Interesting concept from Thingiverse user 12meyer. All kinds of potential problems here, so this is more of a “way to think outside the box” kind of shout-out than the “where can I invest in your start-up” kind. One can, of course, dim fluorescent bulbs electrically, but it turns out to be kind of a PITA. 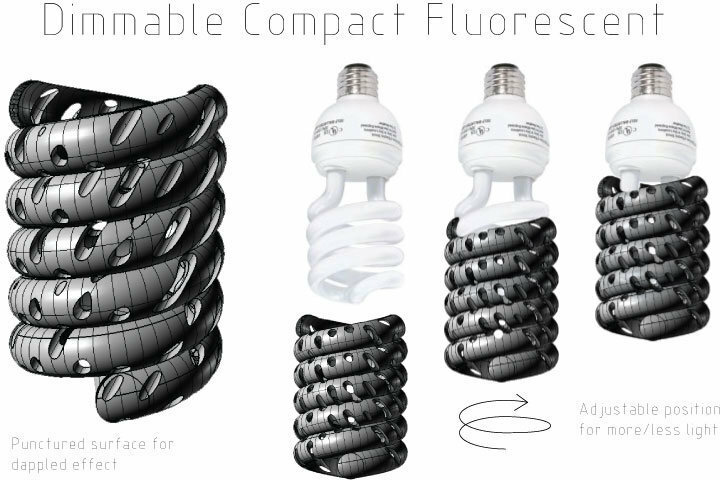 The idea here is to exploit the spiral shape of the bulb itself to make an opaque cover that screws on or off to block more or less light, respectively.